The Mercedes-AMG GT is getting a faster, meaner Black Series version. 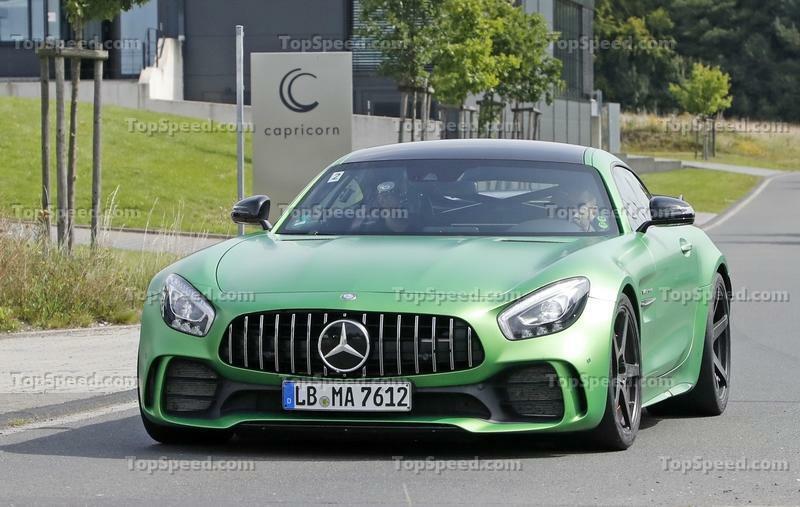 A more powerful AMG GT R? Yes please! 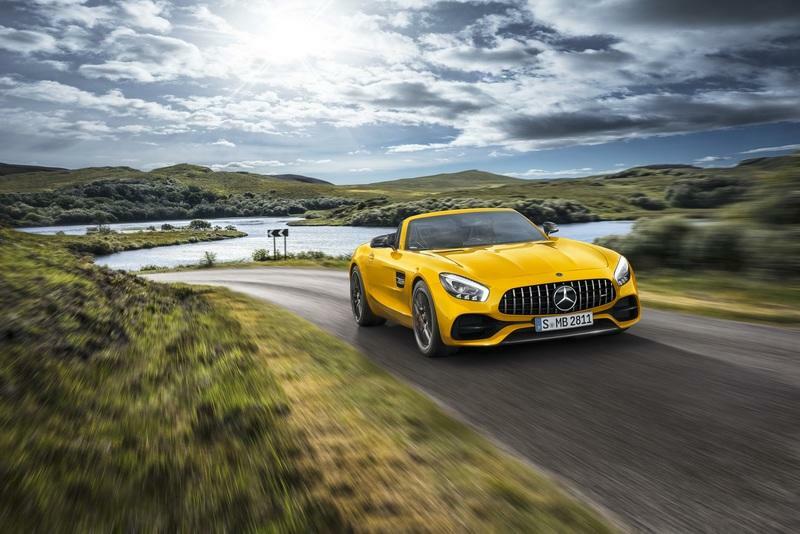 Introduced in 2014, the Mercedes-AMG GT is no longer the company’s flagship sports car, but a full lineup of vehicles. 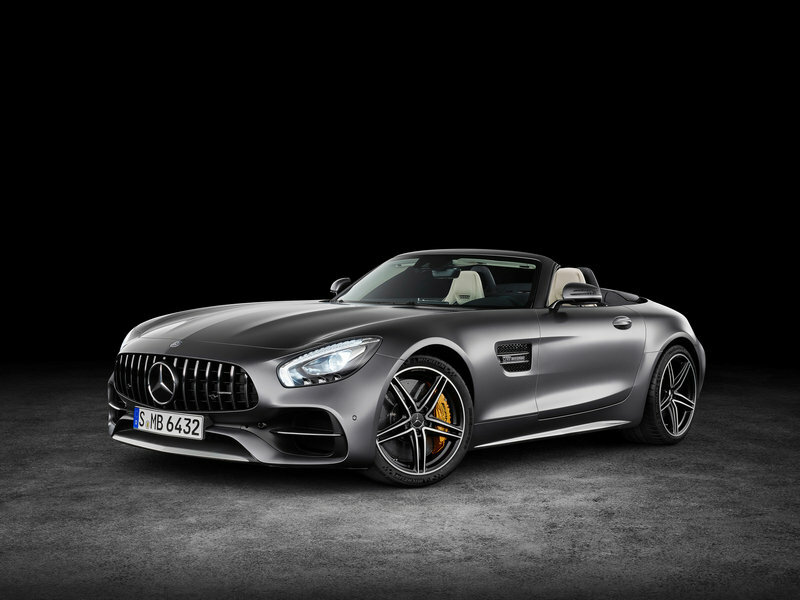 In three years, AMG not only developed a Roadster but also launched a higher performance coupe and a beefed-up convertible too. Oh, and it also created two different race cars based on the GT. In all, the AMG GT includes seven members, which is darn impressive. But Mercedes-AMG won’t stop here. Although rumors of a Black Series model have yet to be confirmed, recent spy shots suggest that such a version is indeed underway. And we might just see it in the metal in early 2019. With the GT R in showrooms, a Black Series model might not make much sense, but Mercedes has plenty of room to either slot it between the GT S and GT R or place it above everything else as a range-topping model. The latter scenario is more likely, so we could get an AMG GT with close to 600 horsepower and built in a very limited run. We should find out more later this year, so make sure you stick around for updates. Meanwhile, have a look at my speculative review below. 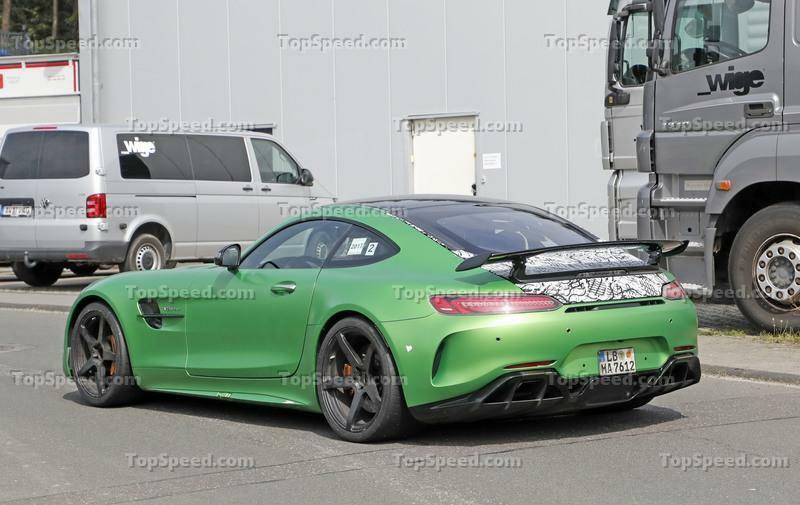 Update 04/10/2019: It’s been more than a year since we last saw AMG GT Black Series, but we think we’ve spotted it yet again. Check out our Spy Shots section below to see whats new! 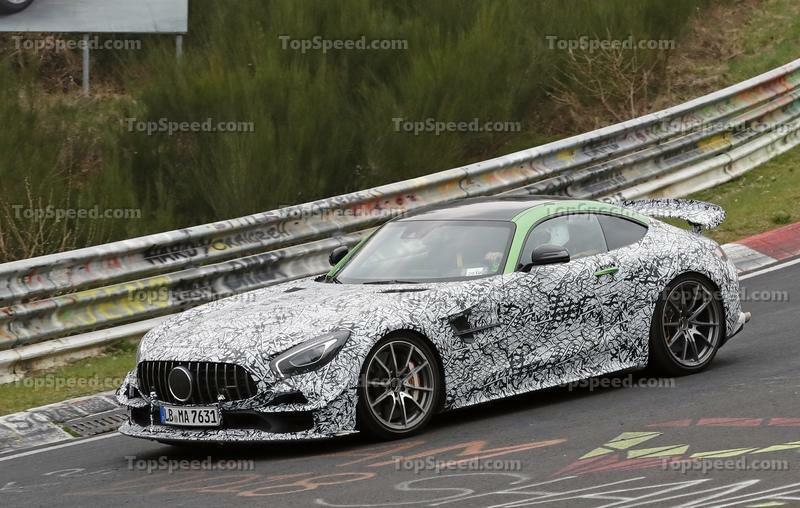 Is this the upcoming Mercedes AMG GT R Black Series? 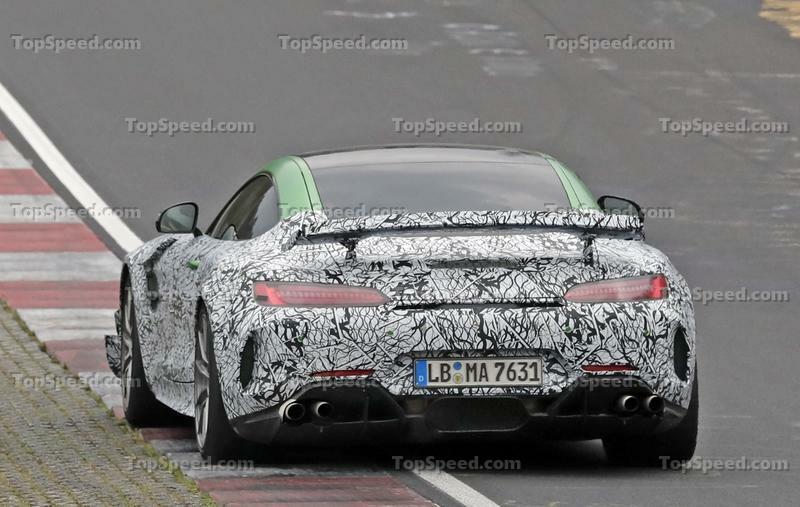 A lot has happened since we last saw what we thought was the AMG GT Black Series. To this day, we still don’t know if that’s what we were looking at way back then, but Mercedes has now confirmed that it is coming, so there’s a good chance that this is it. Considering this “new” prototype is wearing a bunch of camo over a green finish, it’s quite possible that the old spy shots were a mule with upgrades under the skin and familiar aero on the outside. All of this isn’t just about logic, though, outside of Mercedes confirmation, this prototype is wearing a whole bunch of revised aero. The front bumper is completely different than what we see on the GT R Pro. 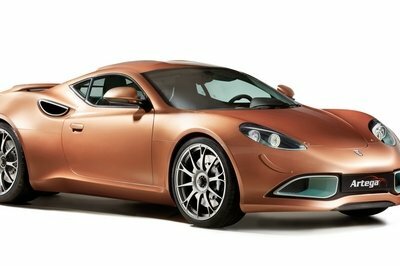 It has new canards and a more aggressive splitter, both of which are overshadowed by the horizontal flics – yet another new development. In the rear, the differences are outrageously obvious. Just look at the rear diffuser and the very non-production taillamps. And, if that’s not enough to set the record straight, just how aggressive is that rear spoiler? 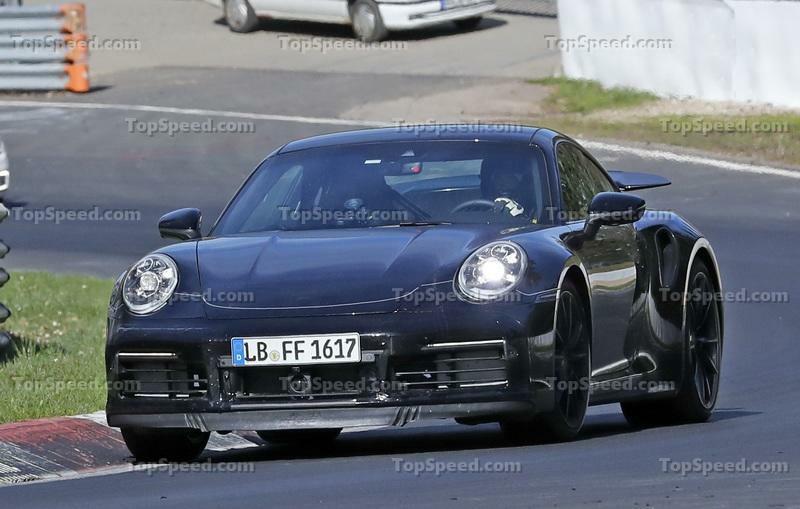 Well, it’s more aggressive than that of the GT R Pro, anyway. There’s still no word as to when we’ll actually see the GT Black Series, but there’s a very good chance we’ll see it sometime in 2019. The test cars are almost identical to the AMG GT R.
While we already have a pair of test cars to look at, there’s not much to see at this point. And it’s not because of the camouflage, as the green car is basically naked except for the trunk lid. 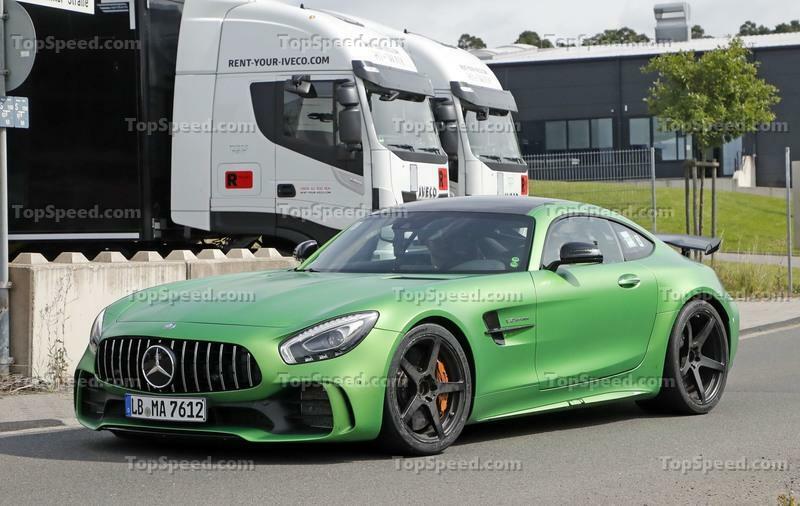 Thing is, the test cars are almost identical to the AMG GT R. The only two details that set the prototype apart are the wheels and the relocated exhaust. While the AMG GT R has center-mounted pipes, the test car has the area covered. And there’s no sign of exhaust pipes, although they could be hidden behind the diffuser. 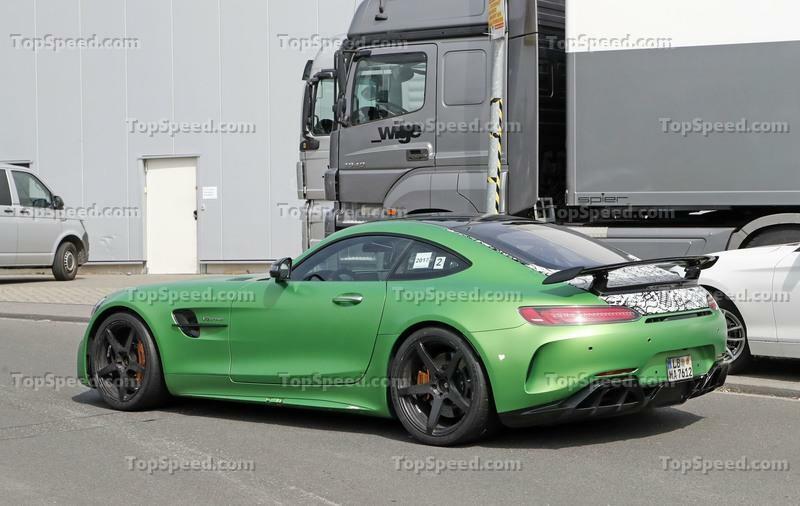 I also have no idea why the trunk lid is covered, simply because I don’t see anything different when compared to the AMG GT R. I do see black wing posts and spoiler (the AMG GT R has them finished in the same color as the body), but this means nothing at this point. The Black Series could be less track-capable than the AMG GT R.
So what’s this Black Series thing all about? 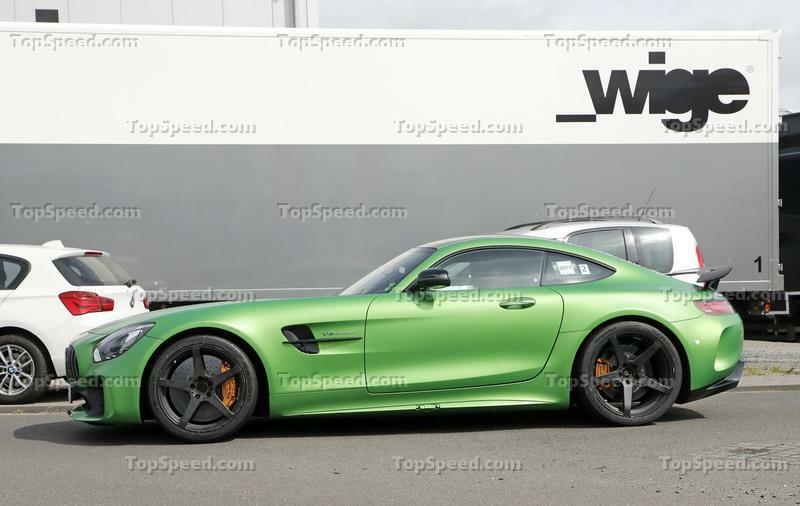 Well, it could be very similar to the AMG GT R in production form. Aerodynamics can be improved in many ways, so a larger wing and a more aggressive front bumper aren’t mandatory. At the same time, the Black Series could be less track-capable than the AMG GT R. Let’s say a muscle car version of it. Powerful, aggressive, but designed as a statement rather than a vehicle you can take to the track during weekends. All told, the AMG GT Black Series is still a mystery, and we have to wait a while longer to get a good grip on what it will look like. Note: Mercedes-AMG GT R interior shown here. 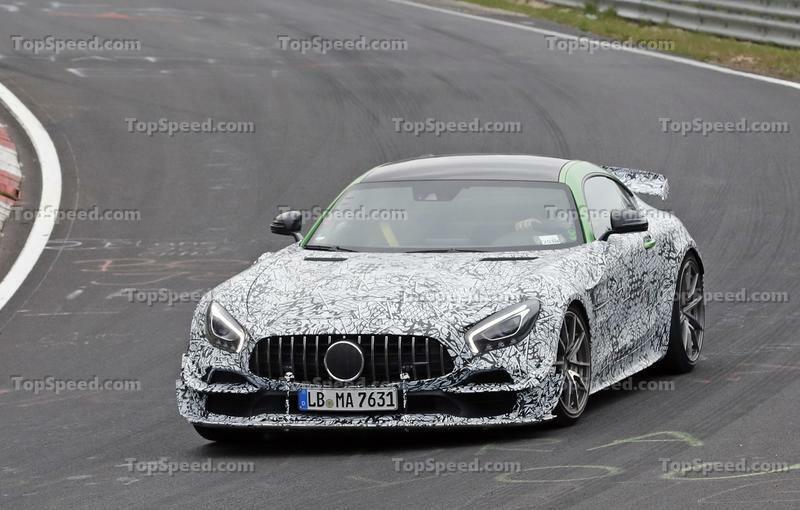 I expect Mercedes to use the same cabin as in the AMG GT R.
Our paparazzi have yet to take a look inside the cabin, but it’s not like it’s going to be significantly different. 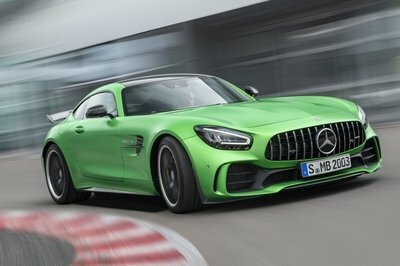 I expect Mercedes to use the same cabin as in the AMG GT R, so expect a bunch of race-inspired features and a few unique items. Highlights should include sport bucket seats wrapped in Nappa leather and Dinamica microfiber and the AMG Night Package, which includes shift paddles, steering wheel bezel, door sills, and boot cross member in high-gloss black. Just like in the AMG GT R, the matte black carbon-fibre should be optional. Speaking of options, since the Black Series shouldn’t be as radical as the AMG GT R when it comes to track performance, customers will probably have access to a set of more comfortable front seats. 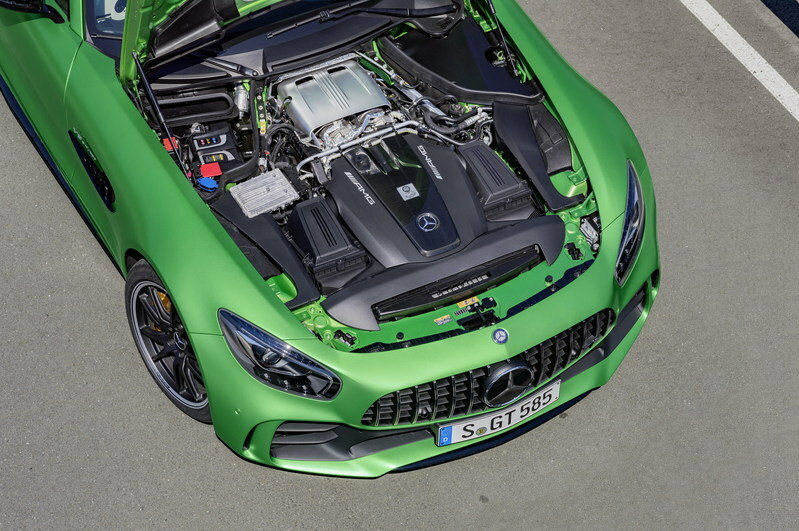 Note: Mercedes-AMG GT R engine shown here. The Black Series should become the most powerful version of the AMG GT ever built. 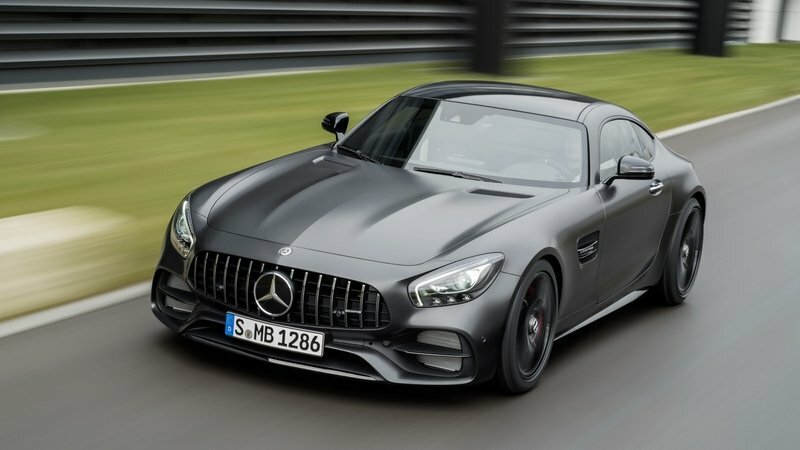 If my predictions are correct, the Black Series should sit at the top of the AMG GT lineup, which means that it will be the most powerful version ever built. This title belongs to the GT R as of August 2017, with output rated at a whopping 577 horsepower and 516 pound-feet of torque. The twin-turbo, 4.0-liter V-8 is clearly capable of delivering more oomph, but don’t expect anything higher than 600 horsepower. Mercedes-AMG could go with 600 PS, which would translate to 592 horses, a 15-horsepower increase. Torque could grow from 516 to around 530 pound-feet of twist. Other drivetrain upgrades are also on the table, including a revised transmission and reprogrammed software. Coupled with enhanced aerodynamics, the new drivetrain should make the Black Series a tad quicker. 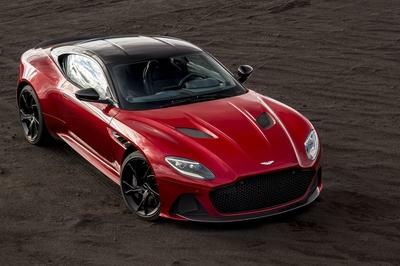 Don’t expect these updates to shave more than a tenth-second off the GT R’s 0-to-60 mph benchmark, so expect the Black Series to get there in 3.4 ticks. 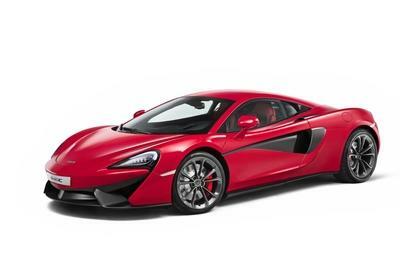 Top speed could increase slightly to reach that magic 200-mph mark. The Black Series will obviously cost more than the AMG GT R, which is already pretty expensive at $157,000 before. 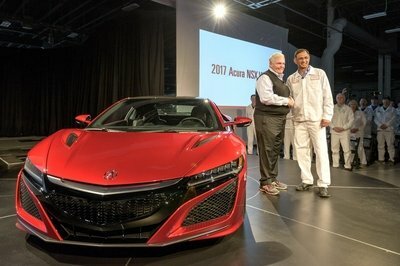 Given that it will be produced in very limited numbers, likely no more than 200 cars or so, I expect it to fetch close to $200,000. The 911 Turbo may be a bit of a stretch performance-wise, but it’s the reason why Mercedes keeps pushing the envelope with the AMG GT. And while the base AMG GT is aimed at the 911 and the AMG GT R is more suited to take on the 911 GT3, the Black Series may have what it takes to go against the 911 Turbo. At least in the looks and technology departments, because let’s face it, the 911 Turbo is tough to beat. Powered by a twin-turbo, 3.8-liter flat-six rated at 540 horsepower and backed by an all-wheel-drive system; the Turbo S needs a scant 2.9 seconds to hit 60 mph. Granted, this is achieved with the optional Sport Chrono package, but the 911 is significantly quicker than any AMG GT model without it. Opt for the Turbo S, and output jumps to 580 horses, while the 0-to-60 mph sprints drops to 2.8 ticks. Top speed is also impressive at 205 mph. And with pricing set to start from $161,800, the 911 Turbo feels like a bargain compared to what the AMG GT Black Series is expected to fetch. Read our speculative review of the Porsche 911 Turbo. The Black Series aligns quite well with our philosophy — take a good looking, fast car, and spin it into something even more capable. 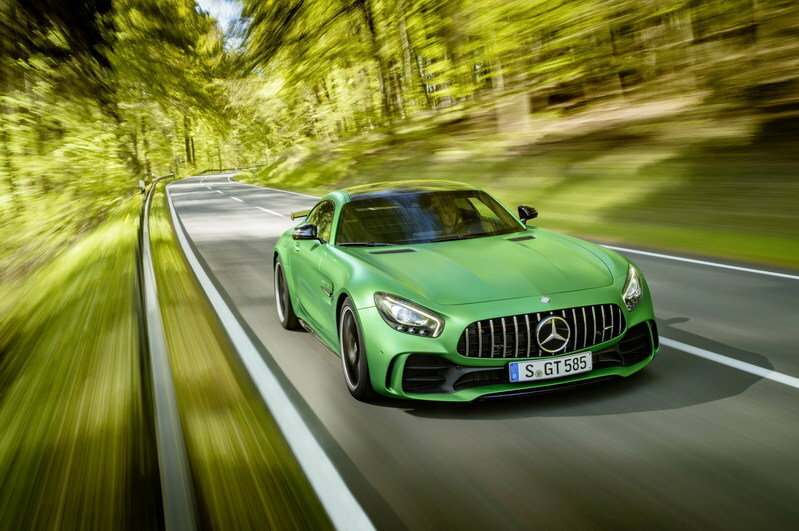 The AMG GT Black Series represents the tip of the spear when it comes to Mercedes performance, and it would take the very best sports cars in the world to even begin to challenge it in any sort of performance contest. It’s a combination of refinement and brute force, elegance and raw power. And I can’t wait to see it in the flesh. Read our full review on the 2018 Mercedes-AMG GT. 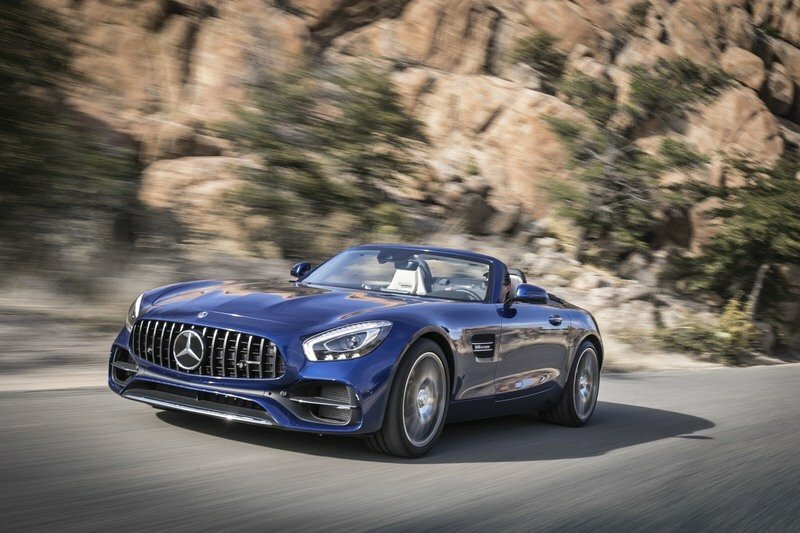 Read our full review on the 2018 Mercedes-AMG GT Roadster. Read our full review on the 2018 Mercedes-AMG GT C Roadster. Read our full review on the 2018 Mercedes -AMG GT S Roadster. Updated 11/12/2018: Our spy photographers caught the beefed-up GT R testing on public roads again! Check out the photos in the gallery section.